The posters, many of which are huge in size, vary from official releases and tour promotion through to more unusual one-offs. The larger ones would make impressive wall mountings, especially if framed. Description : Officially produced posters produced by Mute Records for most Mode singles from ‘See You’ (’82) up to ‘Stripped’ (’87). Some early album posters are also included. See image for exact content. 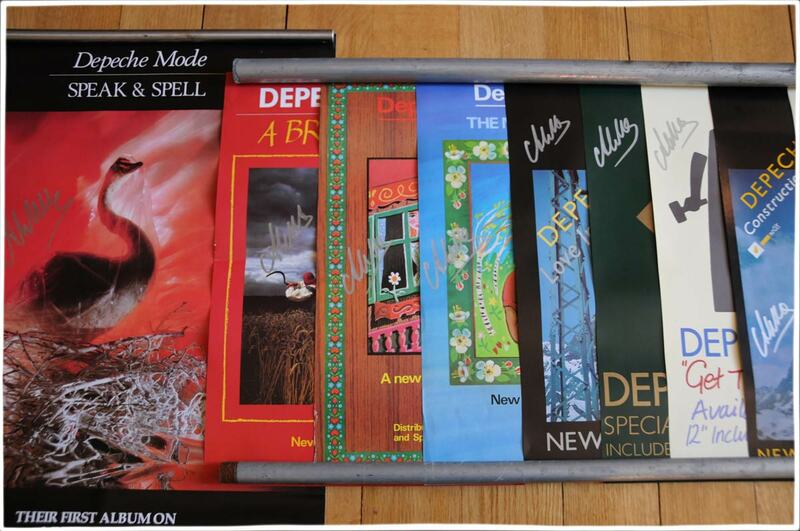 Official ‘Poster set’ from ‘Some Great Reward’ era, 1984. 4 individual posters of each band member. 10 x ‘101’ album posters (b/w). 1 is a bit crumpled, the rest in great condition. Large ‘People Are People’ poster : b/w, mint green writing. Brian Griffin photograph of 4 members + chair. 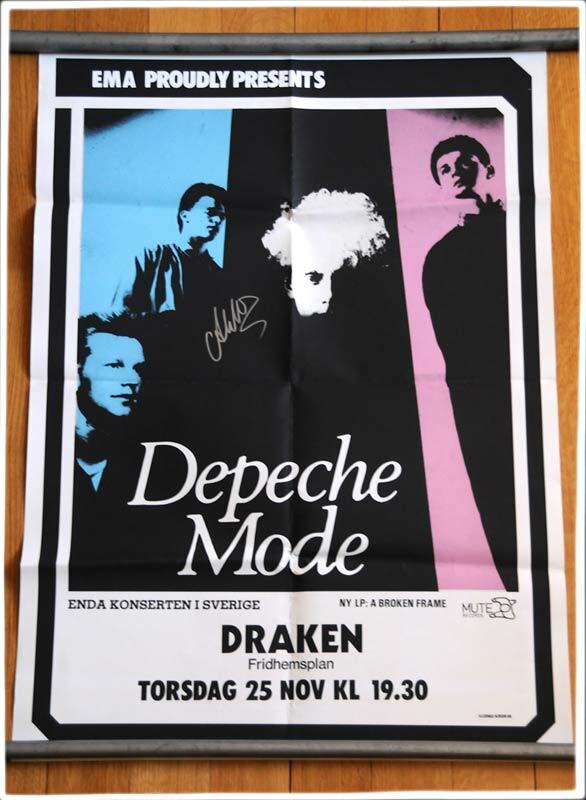 Large glass-framed Swedish ‘A Broken Frame’-era promo poster : picture of band, concert info. 3 x massive ‘Music For The Masses’ posters,1987. Picture of band with ‘bong’ speaker. 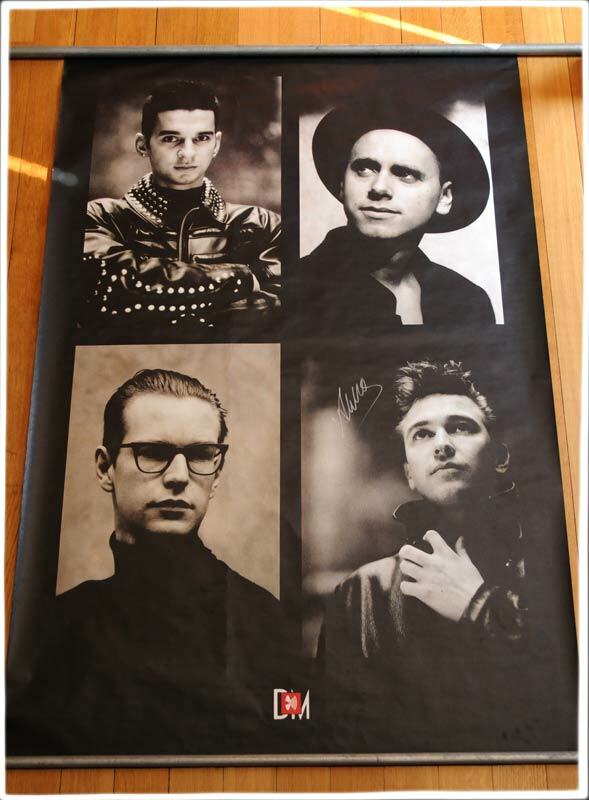 4 x massive ‘Black Celebration’ posters, 1986. Picture in Berlin cafe. Large French promo poster for ‘Some Great Reward’. Cover art image. 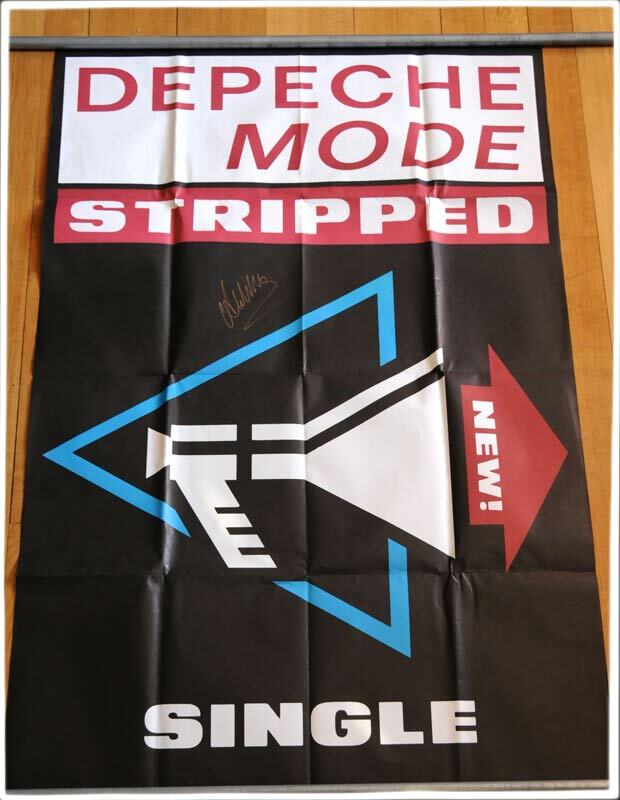 Massive ‘Stripped’ single promo poster. Graphic artwork. 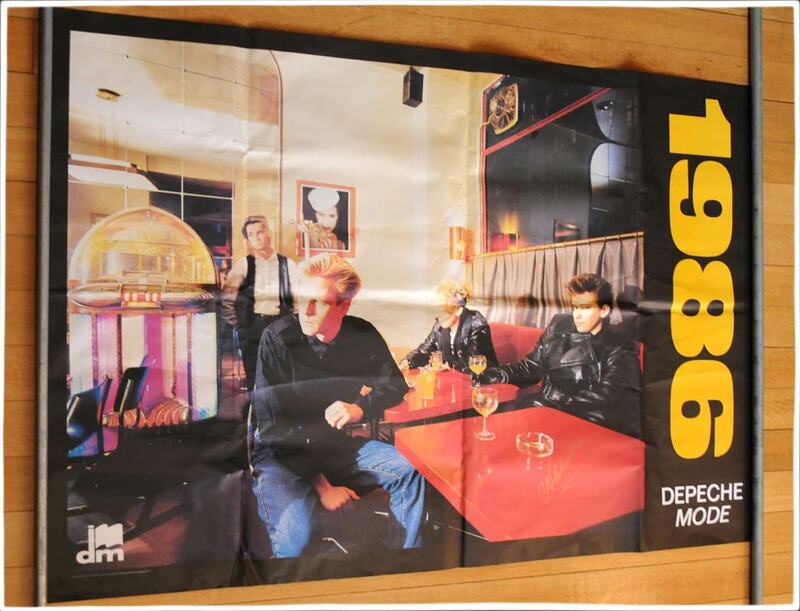 3 x early-era colour poster of band, circa 1983. Excellent condition. 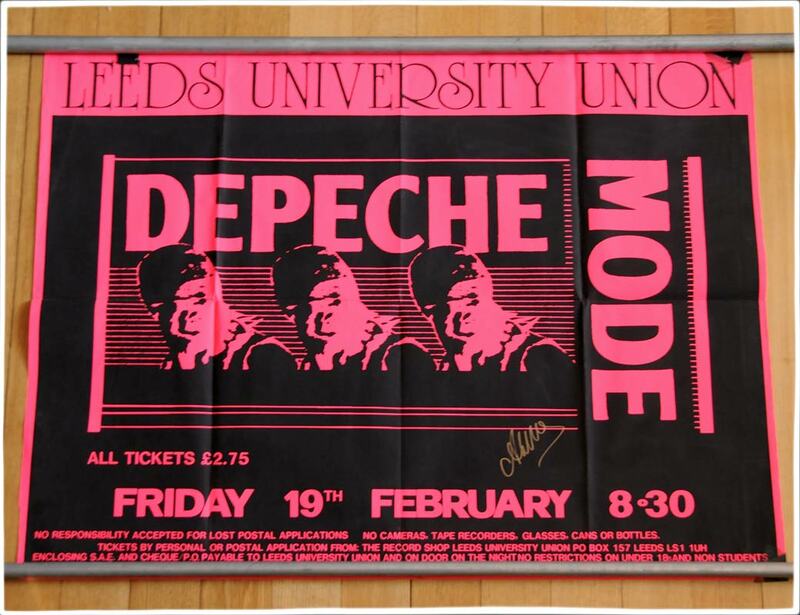 Large pink glass-framed UK tour poster : Leeds University Union, circa 1982. Unusual non-related artwork and concert info. 2 x large black & yellow glass-framed promo poster for an SFX concert. Large ‘Everything Counts’ single promo poster. Graphic artwork. 3 x large glass-framed ‘Construction Time Again’ Mute album poster. Graphic artwork. ‘Some Great Reward’ tour poster from Rotterdam. Graphic artwork. Slightly tattered. 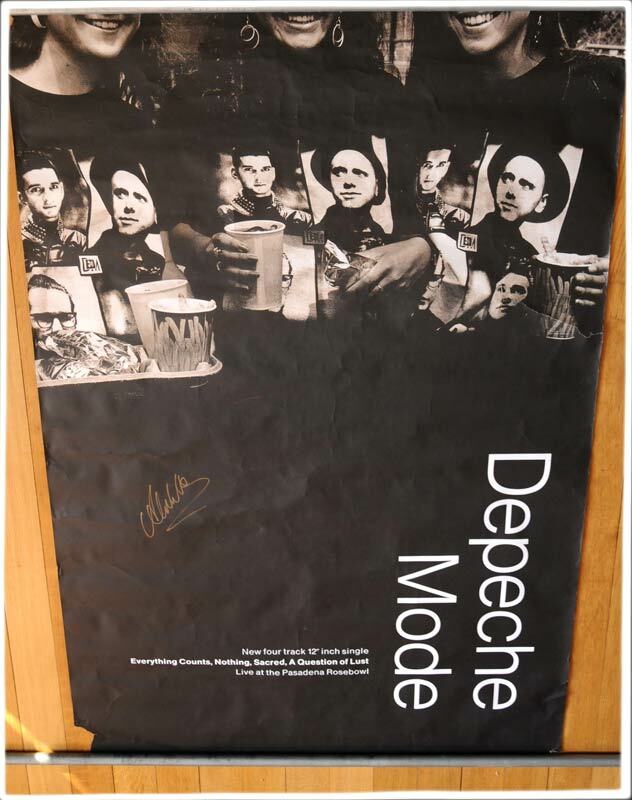 ‘Black Celebration’ Japanese tour poster, band picture in Berlin cafe,1986. 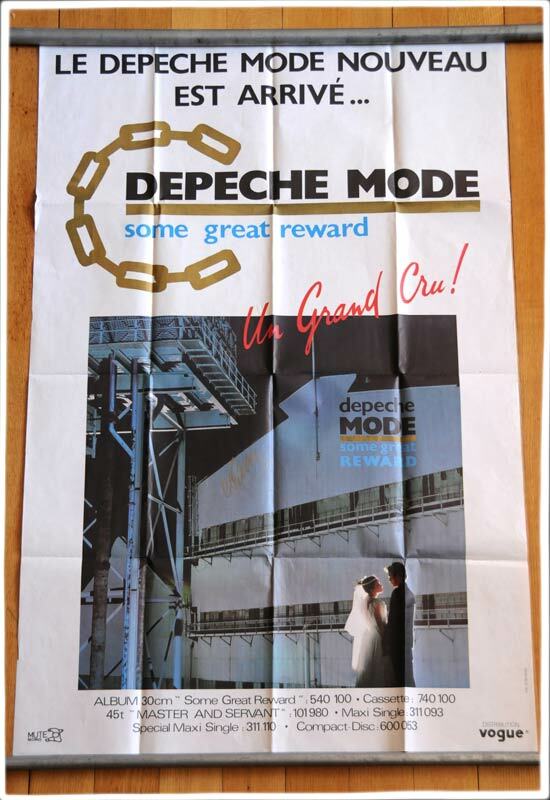 ‘Some Great Reward’ European tour poster, image of band. ‘A Broken Frame’ – Brian Griffin artwork poster (glass-framed). 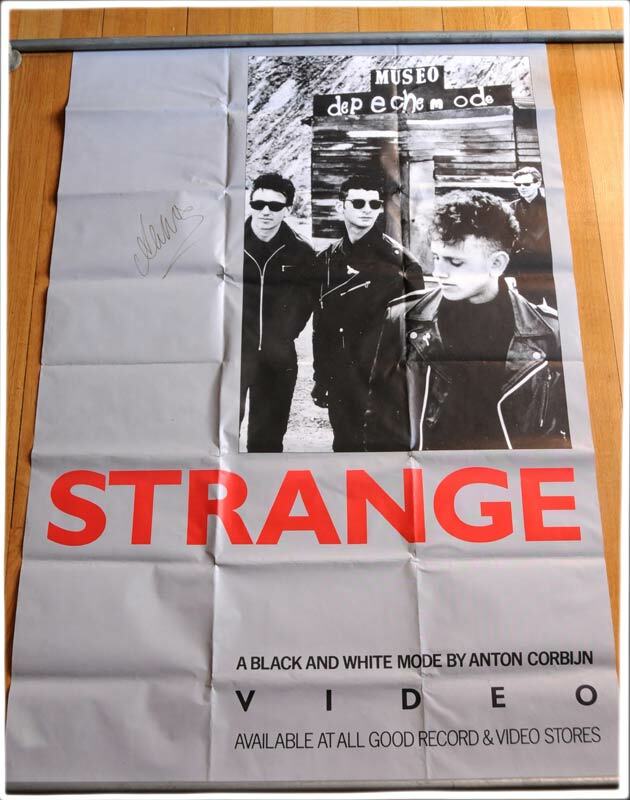 Massive poster for ‘Strange – a black and white mode’ by Anton Corbijn. Photo of the band. 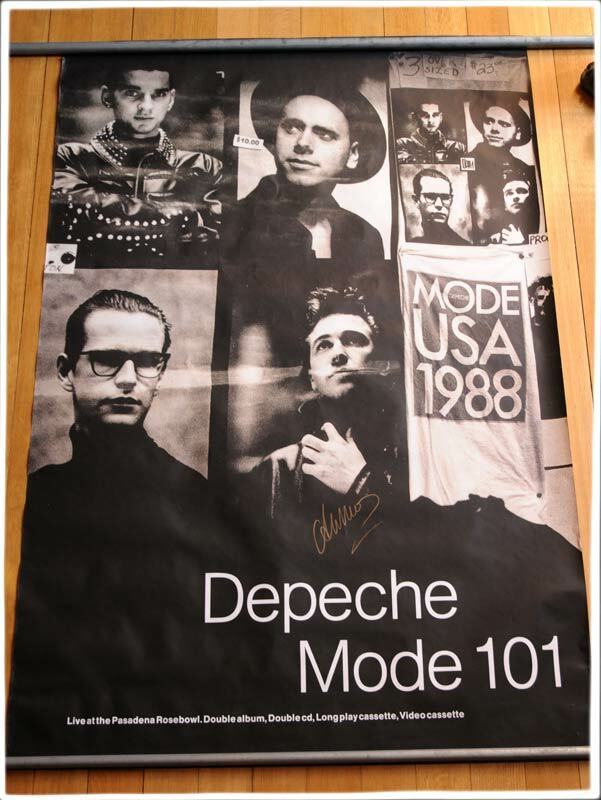 Black/white/pink poster of DM, made in Germany, mid-late ‘80s. 3 x massive ‘101’ posters, b/w with a DM logo and bong speaker symbol at the bottom. 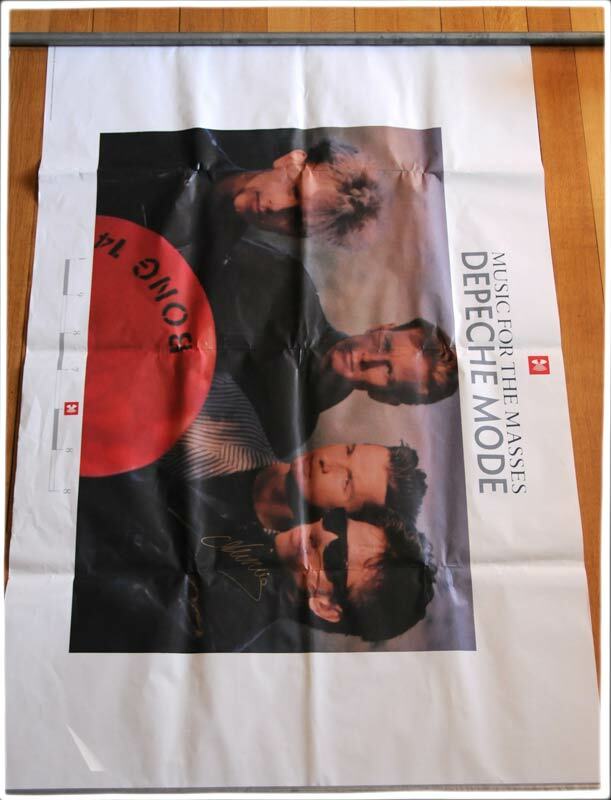 Large ‘Black Celebration’ promo poster – album artwork and photo of the band (image from ‘Singles 81-86′ cover). Large promo poster for the ‘Singles 81-86′ British tour, album art photo. 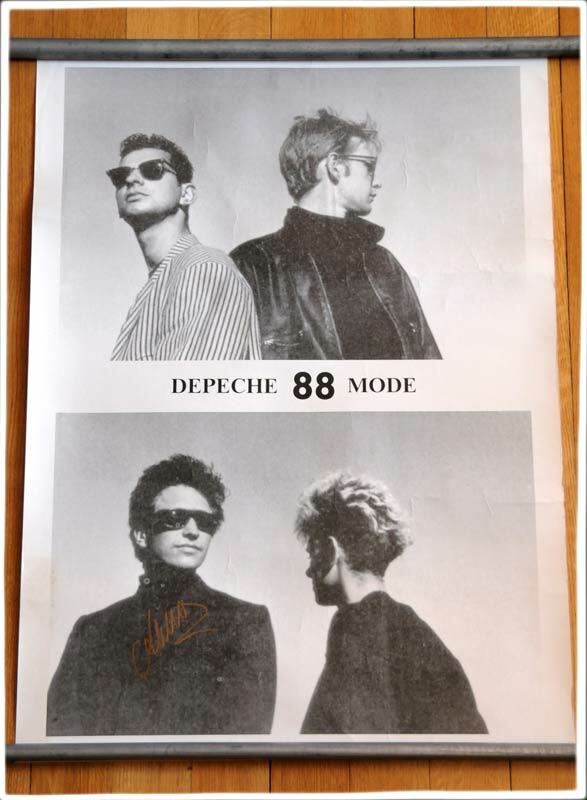 Black/white/purple poster with photo of the band for the European tour ’87-’88. 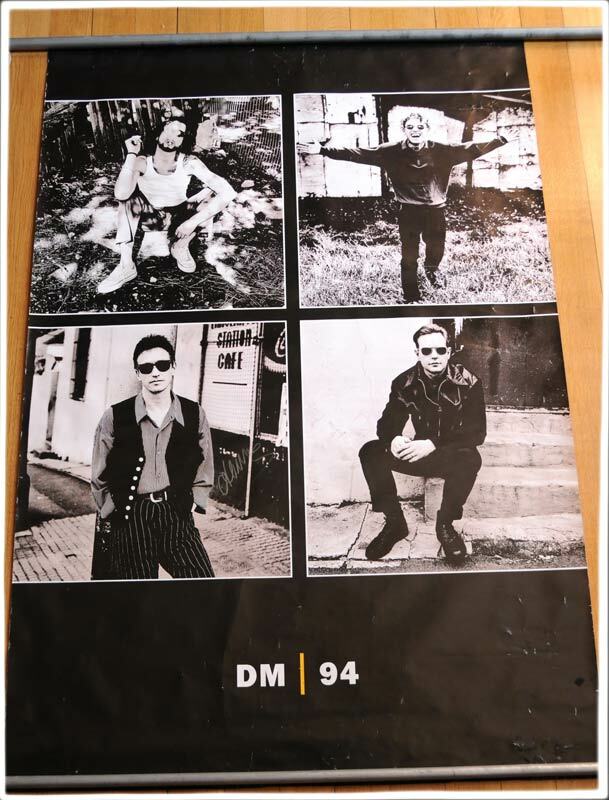 Massive ‘DM ’94′ poster with a Corbijn photo of each member. Massive ‘101’ girls-in-band-shirts poster, b/w, advertising the new 4 track, 12” single from the Rosebowl show. 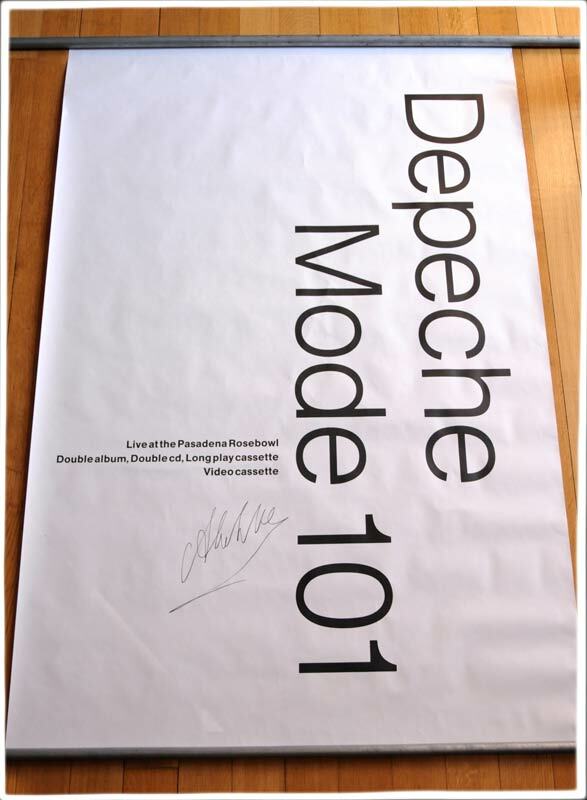 Set of 2 massive ‘101’ Rosebowl concert/album promo posters – 1 b/w with the ‘poster’ image, 1 all white with ‘Depeche Mode’ and advert in black letters.